President Trump recently decided to end the cost sharing reduction (CSR) payments of the Affordable Care Act (ACA). These payments were subsidies to insurance companies that lowered deductibles, co-payments, and other insurance costs for silver plan members, people earning below 250% of the federal poverty level. Because of this decision, healthcare analysts predict that in 2018, premiums will rise about twenty percent for silver plan members. While Trump may have thought ending these subsidies would decrease federal spending, this decision may instead lead to an increase in federal spending, with the federal government offsetting the hikes in premiums through the tax credits silver plan members receive. Another consequence of ending these payments may be an increase in the number of uninsured Americans. Fortunately, because of the contested legal history of these payments and Trump’s repeated threats to end them, forty states and many insurance companies have adopted measures to prepare for the end of these subsidies, so consumers will not be significantly worse off. Ending the CSR payments has important symbolic meaning, in that it is one of several calculated efforts by the Trump Administration to derail the ACA. However, as evidenced above, ending these payments will not cause a complete destabilization of the healthcare market. According to Judge Rosemary Collyer in House v. Prince, the arguments that the payments were appropriated indirectly were unpersuasive, and she concluded that, “no public money can be spent without [an appropriation],” declaring such payments illegal. The Obama Administration defended these payments primarily on the grounds that Congress permanently appropriated tax credits, which also covered the subsidies. This argument failed because the CSR payments were not tax credits; rather, they were direct payments to insurance companies. Thus, the defense’s attempt to maneuver around appropriations law proved unsuccessful. In the background of the Prince decision lurk interesting questions about appropriations law. Prince affirmed the very formal lens through which appropriations law is viewed from a legal perspective. And, there are compelling arguments in strictly adhering to appropriations law. For example, the Republicans were happy with the outcome in Prince, believing this decision to be a check on the executive branch’s authority. Applying appropriations law formally undoubtedly functions as a significant obstacle to the executive’s power. In other contexts such as the foreign policy sphere, where the President is the “primary locus” and “sole organ” of foreign affairs power, appropriations law provides a very important constraint on the Commander-in-Chief’s ever growing power. Treating Congress’s powers in a formal way “promote[s] liberty in the sense of freedom from arbitrary power,” ensures consistency in decision-making, and controls decision-makers who are not so trustworthy. Accordingly, the formalistic way of interpreting this congressional power is aimed at securing freedom, preventing tyranny, and maintaining checks and balances, ideals that are fundamental to democratic society. However, the defense’s arguments in Prince included important reasons why adopting a functional approach to appropriations law might be more fitting in today’s political climate. In an age where laws are long, complex, and often hurriedly composed, coupled with the polarization in Congress, a more functional approach to appropriations law may be warranted. After all, President Obama did try to get a formal Congressional appropriation. However, Republican resistance and “anti-Obamacare fever” blocked these efforts. The Administration emphasized the connection between the appropriated tax credits and the cost sharing reduction payments, arguing that their purpose was the same—to “defray the cost of health insurance”. However, a formalistic decision, like the one in Prince, generally excludes this sort of relevant information from the decision-making process, valuing consistency and adherence to the Constitution more so than the prudential considerations that surround such a decision. Thinking about functionalism more broadly, it is not inconsistent with the Constitution to abandon the strict formal rules of current appropriations law. The Constitution does not provide detailed instruction on how Congress is required to exercise its appropriations power. Can appropriations, then, be inferred from statutory language? Some argue they can, and that the relevant section of the ACA allows the inference of appropriated CSR payments: “The Secretary of the Treasury shall make such advance payment at such time and in such amount as the Secretary specifies in the notice”. In some contexts, Congress need not explicitly use the word “appropriate” so long as it gives clear authority to an agency to spend money before the appropriation. 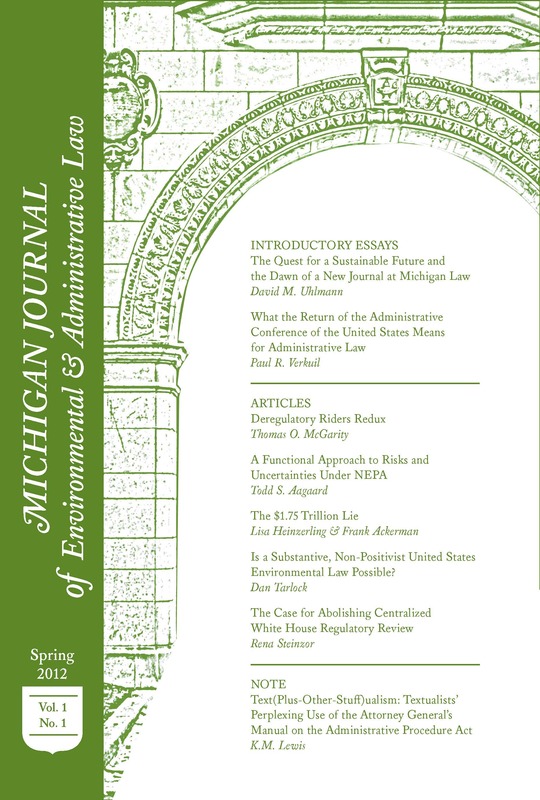 In support of functionalism in appropriations law, there are compelling prudential arguments against the proliferation of checks on the operation of government, and the politics prevalent in Appropriations Clause litigation may provide another reason to consider the broader context of the situation rather than resorting to strict adherence to the formal law. Unpacking appropriations law requires lengthy and detailed legal analysis, and the considerations posed by formalism and functionalism in its application require further exploration before a sound conclusion can be met. Nevertheless, the questions that arise from Prince and appropriations law generally are worth considering, even in a brief analysis. The formalistic rules outlined in the Constitution are purposeful, intentional, and serve important functions aimed at preserving our democratic structure. Indeed, modern formalists have emphasized Constitutional structure, namely separation of powers and checks and balances in interpreting statutes and Constitutional text. But, the arguments for a functional approach are compelling, realistic, and not inconsistent with the words of the Constitution. The question of whether the CSR payments were ever appropriated has been decided, but the importance of federal government spending and appropriations law remains salient, particularly in the context of healthcare. The way in which appropriations law will be practiced and enforced in the future will have significant effects on the fate of the ACA specifically, and healthcare generally. *Emily Arnold is a junior editor for MJEAL and can be reached at emilyarn@umich.edu. Linda J. Blumberg, Matthew Buettgens, & Robin Wang, How Would Coverage, Federal Spending, and Private Premiums Change if the Federal Government Stopped Reimbursing Insurers for the ACA’s Cost-Sharing Reductions?, Timely Analysis of Immediate Health Policy Issues (Sept. 2017), https://www.urban.org/sites/default/files/publication/93111/2001494-how-would-coverage-federal-spending-and-private-premiums-change_3.pdf. Patrick Ross, Trump eliminates cost sharing reductions, Healthcare in America (Oct. 13, 2017), https://healthcareinamerica.us/trump-eliminates-cost-sharing-reductions-c03f803d94f5. Julia Manchester, Trump threatens to end ObamaCare payments unless repeal passes, The Hill (Jul. 29, 2017, 12:58 PM), http://thehill.com/homenews/administration/344463-trump-threatens-to-end-csr-payments-if-healthcare-reform-isnt-passed. Margot Sanger-Katz, Trump’s Attack on Insurer ‘Gravy Train’ Could Actually Help a Lot of Consumers, N.Y. Times: The Upshot (Oct. 18, 2017), https://www.nytimes.com/2017/10/18/upshot/trumps-attack-on-insurer-gravy-train-could-actually-help-a-lot-of-consumers.html. Robert Pear, Maggie Haberman, & Reed Abelson, Trump to Scrap Critical Health Care Subsidies, Hitting Obamacare Again, N.Y. Times (Oct. 12, 2017), https://www.nytimes.com/2017/10/12/us/politics/trump-obamacare-executive-order-health-insurance.html. U.S. Const. art. I, § 8 cl. 9. Jennifer Haberkorn, House GOP wins Obamacare lawsuit, Politico (May 12, 2016, 12:38 PM), https://www.politico.com/story/2016/05/house-gop-wins-obamacare-lawsuit-223121. Nicholas Bagley, Trump’s ominous threat to withhold payment from health insurers, explained, Vox (updated Aug. 2, 2017, 10:02 AM), https://www.vox.com/the-big-idea/2017/3/29/15107836/lawsuit-aca-payments-reimbursement-unconstitutional. Saikrishna B. Prakash & Michael D. Ramsey, The Executive Power over Foreign Affairs, 111 Yale L. J. 231, 233 (2001). Nicholas Bagley, Legal Limits and the Implementation of the Affordable Care Act, 164 U. Pa. L. Rev. 1715, 1735 (2016). William C. Powers, Jr., Formalism and Nonformalism in Choice of Law Methodology, 52 Wash. L. Rev. 27, 31 (1976). Bagley, Trump’s ominous threat to withhold payment from health insurers, supra note 10. Bagley, Legal Limits and the Implementation of the Affordable Care Act, supra note 14 at 1730. Powers, Jr., supra note 15. 2 John E. Jensen, Quick Reference to Federal Appropriations Law 3 (2006). Jasper L. Cummings, Jr., Spending Without Appropriations: Who’s to Complain?, 35 ABA Tax Times 1, 2 (Aug. 2016), https://www.americanbar.org/groups/taxation/publications/abataxtimes_home/16aug/16aug-ac-cummings-spending-without-appropriations-whos-to-complain.html. 42 USCS § 18081(c)(3) (2012). Cummings, Jr., supra note 21, at 3. John F. Manning, Constitutional Structure and Statutory Formalism, 66 U. of Chi. L. Rev. 685, 691 (1999). Next Climate Change Adaptation: What Will Be The Impact of President Trump’s Rescission of Obama Era Policies?